During the 2nd EOSC Summit held in Brussels today, 11 June 2018, the High Level Expert Group together with the EOSCpilot Project launched the EOSC Stakeholders Open Consultation. The aim of the platform is to aid in the European Commission's stakeholder consultation on the European Open Science Cloud Rules of Participation which will dictate how the EOSC actors (which include both users and service providers) can participate in the EOSC. With the Rules of Participation being an important area that EOSCpilot will be providing input to, the consultation platform is based on the EOSCpilot website. The consultation platform already has existing topics of discussion. Participants can like, comment and create new topics to create digital conversations on areas that will later become rules for the EOSC. 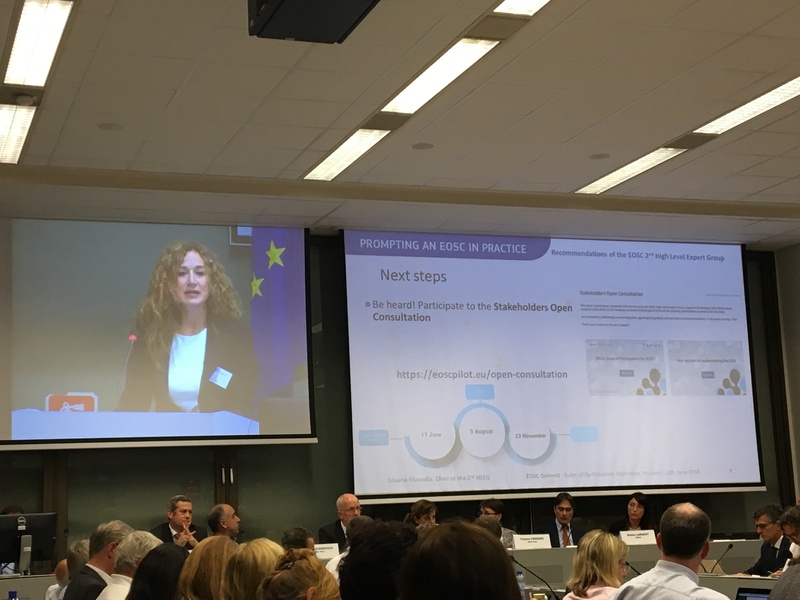 The Consultation Platform allows stakeholders also to rank, vote and further discuss the three sets of Recommendations (implementation, engagement & steering recommendations) that the EOSC HLEG chair Silvana Muscella has presented at the Summit. The system works with a light registration that prevents anonymous submission without burdening the stakeholder participants called in to the consultation with too many entry questions. Stakeholders may participate multiple times to the discussion threads, but only once in the voting area. Consultation will be open until 5 August 2018, upon which, the results of the consultation will be analysed and will feed into the initial Rules of Participation due to be released on 23 November, this year. The final Rules of Participation is slated to be released in the 3rd quarter of 2019. Have your say. Contribute to shaping the EOSC Rules of Participation. Visit the EOSC Stakeholders Open Consultation Platform now!